Transform your outdated pool into a revitalized backyard oasis. 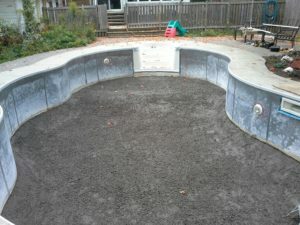 Selleck Pools Inc. specializes in swimming pool renovations and remodeling. The pools of the 70s and 80s can be the pools of tomorrow with modern upgrades. When it comes to renovating your pool, hiring an experienced contractor is the best decision you can make, both for the health of your pool and for your peace of mind. 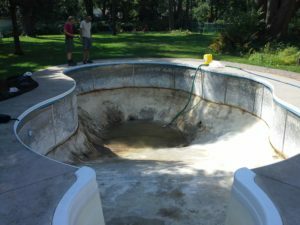 How much do Pool Renovations Cost? When it comes to pool renovations, the possibilities are endless and the cost of a pool renovation is as varied as the options available. Depending on the extent of improvements, the average cost for pool renovations is $4,000 to $20,000. We provide free, no-obligation quotes for every pool renovation. This West Hill renovation project included installation of new stairs, a new modern liner, updated plumbing and new patterned concrete pool deck. The most common pool renovation is resurfacing, which is recommended every 10 to 15 years. 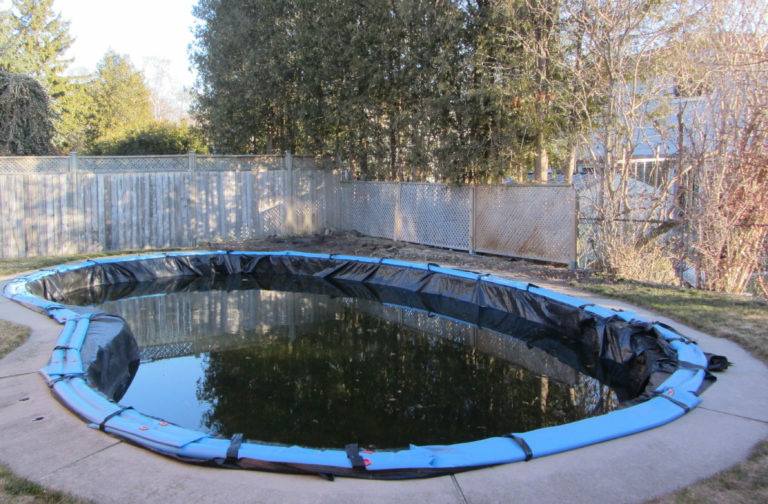 Over time, pool surfaces can breakdown with cracks and discolouration. Resurfacing your pool helps preserve it and reduces the risk of costly repairs in the future due to improper care. Older pools can be revitalized by replacing old pool equipment (such as outdated ladders or diving boards), by updating the pool liner to a modern design, or even by adding a stunning new water feature. Over time, not only do styles change, but pools also become less efficient. As pool technology develops, more energy efficient options are becoming available all the time. Updating your pool’s plumbing can lead to big savings for years to come. 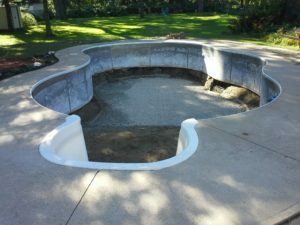 Whether you want to give your pool a minor facelift or a full structural overhaul, the pool renovation contractors at Selleck Pools Inc. have the expertise to surpass your expectations. 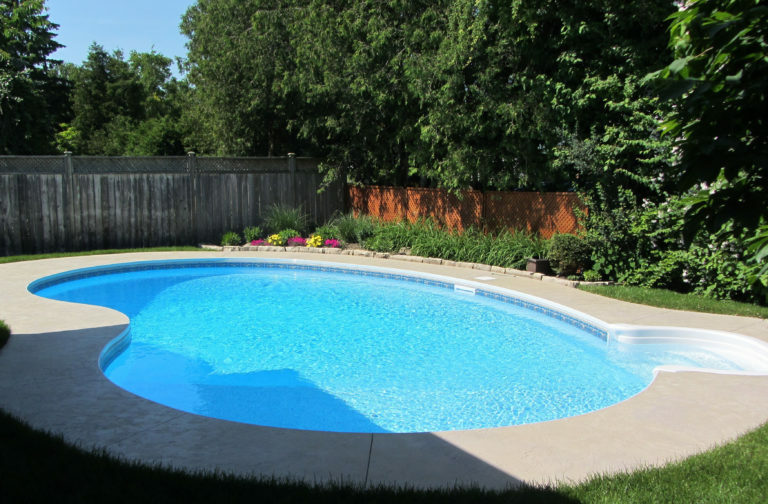 If you’re a pool owner in Scarborough, Pickering, Ajax, Whitby, Markham and the surrounding area, get a free pool renovation quote from Selleck Pools Inc. Call 416-724-8649 or fill out our online contact form today and we’ll be in touch with you soon! When it comes to modernizing your pool, the sky is the limit! Yes, you can change the shape of your pool. However, when it comes to modernizing the shape of your pool, the more drastic the change, the higher the cost. Often, a more cost-effective way to update your pool is to add a new water feature, resurface the pool or install new stairs. Yes, the depth of your pool can be changed whether you want to raise the deep end to match the shallow end or make the shallow end deeper. 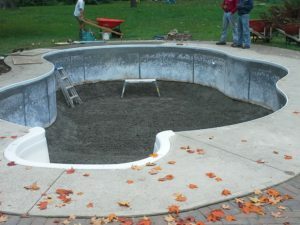 Both remodels require a new liner or refinishing of the pool surface.